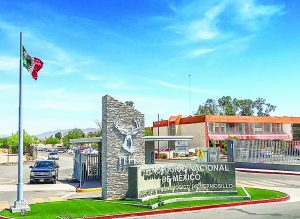 Pima Community College has been awarded a grant to help students “have the experience of a lifetime” by studying abroad at the Instituto Tecnológico de Hermosillo (ITH). Six students will be chosen to study theoretical and proven practices in the field of clean energy and sustainability from March 9 to 18. During their stay, the students will have the opportunity to launch a learning campaign to educate the community on energy-saving tools. Pima also will recieve six ITH students who will be studying similar topics and launching campaigns here in Tucson. The program will cover students’ travel, accommodations, in-country transportation and most meal expenses. PCC students will be housed in rooms at the Eventos Partenon, a hotel near the ITH campus. During the fall 2017 semester, Pima had 230 full-time international students attend. 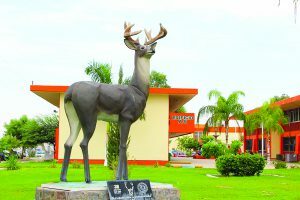 A statue of a deer on ITH’s campus adorns an outdoor lawn for students to enjoy. The program was “the experience of a lifetime,” said Cheryl Sanchez, a general education major whose only complaint was that her stay was too short. “Everyone should travel to inner-Mexico. It was safe, the city was clean and the people make you feel warm and welcomed,” she said. If you are interested in joining a study abroad program, go to Pima’s study abroad page at www.pima.edu/current-students/advising/study-abroad.html. Students have access to many different programs, including some offered through University of Arizona, Arizona State University or Northern Arizona University. You also can contact the West Campus Center for International Education and Engagement at international@pima.edu.